Heating and cooling equipment repair can make a serious dent in your budget (not to mention you don’t really budget emergency interventions). What’s worse? Having to replace the HVAC system altogether. You may not give it a second thought month in, month out. After all, San Diego weather is lovely, a tad hot in the summer maybe. Yet, you have experienced chilly days in the fall/winter months. Have you not felt the drop lately? Cold enough to turn on the heat, at least for a few hours to warm up the house before hiding under the comforter. If you have not kept up with your furnace maintenance, you could be in for a surprise. What do you do when the heater won’t turn on or heat less than it should? You call a furnace repair professional. Emergency interventions can be costly, and often too late. Is there anything you could have done to avoid this predicament? Yes. Twice a year, take the time to give some TLC to the outdoor condenser coils. Spring and fall are the apparent times for this maintenance chore: you are not quite using your HVAC system to full capacity yet. Be on the lookout for leaks. Turn off the power, disconnect tubing, remove condensate pump. Then, start rinsing, removing the debris that nature or gardening (falling leaves, grass clippings) has generously stuck in there. It’s work, so feel free to have this included in your HVAC maintenance plan. For peace of mind, make sure you keep a good 2 feet of clearance around the unit (it will not eliminate nature debris, but at least minimize the volume). That’s right, every month. Filters are only as effective as they have room to breathe, so to speak. Even more so if you live in a dry area with lots of dust; on the coast with its salty air; anywhere, if you have pets profusely shedding no matter how often you brush their coat. It may sound like a monthly replacement is an expensive way to go. Just remember, you have the choice of going for regular care or costly furnace repairs. You can take a break during the months you don’t use heating or cooling, but don’t push the envelope. You’re already cleaning condenser coils and changing filters. What more should you need? Unless you’re a professional yourself, there are many details to watch for in a furnace. Even more so today, with sophisticated systems and electronic components. Your professional HVAC maintenance provider will know where to look, and what to test. In fact, they will also clean those coils and change that filter for you, along with checking for leaks and cleaning drain lines. Give or take a few degrees; your thermostat should tell you the truth about what is going on with heating your house. You control the dial; you set it up on your phone. Whichever way you want to go, smart thermostat or manual knob, if you believe it’s telling you something different than what you set or feel, don’t blame it. Your thermostat may be the messenger warning you of a problem with the whole heating system. Much like our body is sending signals of potential health problems, your HVAC will emit signs alerting you something is off. Weird sounds, odors, leaks, poor performance, higher energy bills. None of those should occur. If one or more catches your attention, don’t make the mistake of shrugging it off or waiting until irreparable damage occurs. Call an HVAC professional. You know how people hang on to their car even though they have to leave it at the shop on a regular basis? It starts with replacing a part, then another, hoping to squeeze a few more miles out of it. Before long, they have to get a new car, and when they do the math, they realize they spent a fortune on a vehicle that didn’t hold its side of the deal. If you are often spending on heater and cooler repair, consider putting an end to the bleeding and replace your system for a modern, energy efficient, durable HVAC unit. Quality can never be overrated. 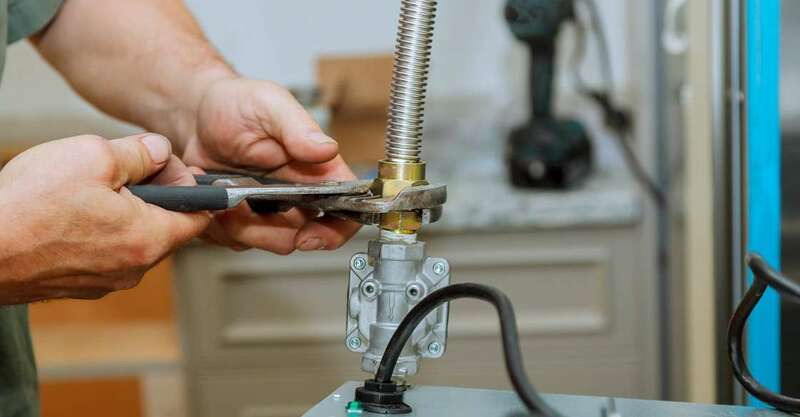 You want to deal with minimum furnace repairs some years down the road (if any), no more cooling issues at the crux of summer, and feel confident your house will be comfortable without your energy bills skyrocketing. You can prevent costly furnace maintenance repairs if you do your part. No neglect, no abuse, no ignoring issues. One more piece of advice: HVAC technology has become more involved since the early Greek or Roman days of heating and cooling systems. For any maintenance items, you are not familiar or comfortable with, only trust professionals to do the job.